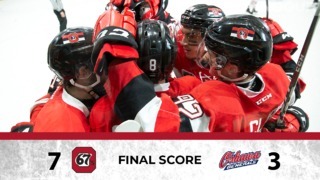 The 67’s return back to the Arena at TD Place for the first since opening weekend. The Barber Poles host back to back games on Saturday and Sunday afternoon against the Barrie Colts and the Sault St. Marie Greyhounds. Here’s who you should keep an eye on this weekend. 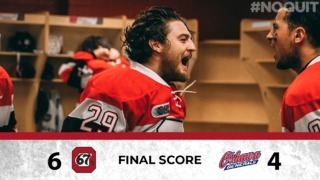 The Ottawa 67’s veteran D-man has started the season out hot. Hoef was returned to the 67’s by the Arizona Coyotes (2017, Round 4, 108) just days before the 67’s home opener. After going pointless through the first two games Noel has turned things up. He comes into Saturday riding a four game point streak with two goals and three assists for five points in that stretch. If you look at his first season in the league (2015-16) Noel also registered two goals and three assists… in 45 games. Noel followed up his rookie year with 14 goal, 2 assist season. His production dipped last year but Hoefenmayer is currently on pace for a career year. The younger brother of Montreal Canadiens draft pick Nick Suzuki, Ryan has come out in full force to start the year. 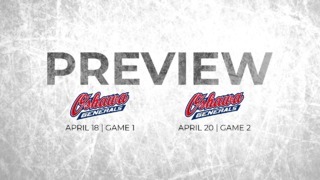 The former first overall pick in the OHL Priority Selection and top prospect in the upcoming NHL Draft comes to TD Place leading the OHL in scoring as a 17 year old. The 6’ center has 11 points through four games played… that’s an average 2.75 points per game! Suzuki is also economical when he shoots the puck, of his 11 points, four have been goals but he has only taken 10 shots so far this season. He doesn’t pepper the goalie with shots constantly but when he does he’s precise. He’s also assisted on seven goals this season. Suzuki also has ties to 67’s Head Coach Andre Tourigny and forward Graeme Clarke. Ryan was a part of the 2018 Hlinka-Gretzky Cup Gold Medal winning Team Canada that was coached by Tourigny and also featured Clarke. A former fourth round pick in the OHL Priority Selection, Frost has GMs around the league wondering why they passed on Frost. Frost was a higher draft pick in the NHL than he was the OHL being selected in the first round, 27th overall by the Philadelphia Flyers in 2017. Last season Frost exploded as one of the top players in the OHL. He finished second in scoring, only behind over-ager Aaron Luchuk. Frost more than doubled his goal total from the year before going from 20 goals to 42 and jumped from 42 assists to 70. Frost didn’t crack the Flyers NHL roster and has been returned to the Greyhounds and is expected to a top player in the league this year. The 19 year old has five points in four game, slightly behind pace of his scoring last year but expect the veteran forward to pick it up as the season goes along.